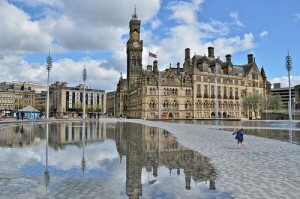 A new digital project is aiming to showcase Bradford on the BBC – and the corporation wants Bradfordians to show what a “brilliant and unique” place it is. My Bradford, a partnership between BBC Radio Leeds and Bradford UNESCO City of Film, will let people tell their stories about the city and will also shape the news agenda as covered by the BBC. BBC producer Jenny Eells said: “Everyone has a great story to tell and My Bradford will help show the city off to the world. Approved content will be shared on the MyBradford.org website and selected films will feature on Big Screen Bradford in City Park during the city’s film summit, between March 4 and 6. The project will run until February 2016. Visit the website or email Jenny.eells@bbc.co.uk to get involved.